Your car lender is threatening repossession and your mortgage lender is threatening foreclosure. On top of that, you lost your job a few weeks ago. You don’t see any way to repay your debts. You call a bankruptcy lawyer in Sacramento and schedule a free consultation. During the consultation the bankruptcy lawyer tells you that chapter 7 bankruptcy can discharge your unsecured debts. You can give up your underwater car and house to the lenders and not be liable for any deficiency. In short, you can get rid of your debt and get a fresh start. You think, “great, I can stop this nightmare and get back on my feet. I’ll feel so much better when this is all over and the bills stop flooding my mailbox and my phone stops ringing off the hook.” Then you hear something the lawyer said about his $2,000 fee. $2,000!!! What part of “I need to file for bankruptcy because I don’t have enough money” did the lawyer not understand! You think “how can I possibly afford $2,000.” None of it makes sense. On the one hand, you need to file for bankruptcy because you don’t have enough money. On the other hand, you can’t file for bankruptcy because you don’t have enough money to pay the lawyer. Why is bankruptcy so expensive? Here’s the truth. Bankruptcy lawyers charge thousands of dollars because Congress passed the Bankruptcy Abuse Prevention and Consumer Protection Act in 2005. The Act adds a lot more paperwork to the bankruptcy process. Consequently, bankruptcy lawyers started to charge more to compensate themselves for this extra work. As a result, your bankruptcy lawyer may quote a fee in excess of $2,000. How you can afford bankruptcy. There are several ways to come up with the money to pay a bankruptcy lawyer in Sacramento and achieve debt relief through bankruptcy. DISCLAIMER: Every bankruptcy lawyer is prohibited from advising you to incur more debt in contemplation of bankruptcy. (Welcome to the Bankruptcy Abuse Prevention and Consumer Protection Act). Therefore, Sacramento Law Group is not advising you to borrow money to pay for a bankruptcy lawyer. Also, it is important to get a free consultation with a bankruptcy lawyer before pursuing any of the following methods. Use your tax refund. Remember that check you get after tax time? A lot of people use their tax refund to pay for bankruptcy. Tighten the belt. This is not a glamorous approach, but few things that are easy are effective. Reducing a few monthly expenses can save a lot over time. Family gifts. Someone in your family may be willing to gift you the money to pay for your bankruptcy. This gift will allow you to stop the vicious debt cycle, reduce your debt-related anxiety, and restore your financial health. It may not be fun to ask for this gift, but the end result may be worth it. Work a little more. Again, this is not a glamorous approach but it has worked for a lot of petitioners. Put in a few more hours at work. Ask your non-working spouse to get a temporary job. Have your working age kids get some part-time work. When everyone contributes the money can add up. Use or lose the space. If you have extra space in your house, consider getting a tenant. The rent can be a big help. If you have too much space in your house move in with a friend or family member to save up. If all else fails. 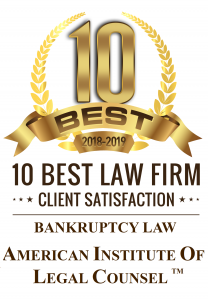 If there is no way for you to save up for a chapter 7 bankruptcy, talk to your bankruptcy lawyer about filing for chapter 13 bankruptcy instead. Chapter 13 bankruptcy requires less money up front since you pay a portion of the fee over a period of 3 to 5 years. Before pursuing any of these methods, talk to your Sacramento bankruptcy attorney. To qualify for chapter 7 bankruptcy your average monthly income for the past six months must be below a certain threshold. Consequently, increasing your income through the above methods may damage your ability to file for chapter 7 bankruptcy. In short, talk to your bankruptcy lawyer about how you should pay for bankruptcy given your financial situation.